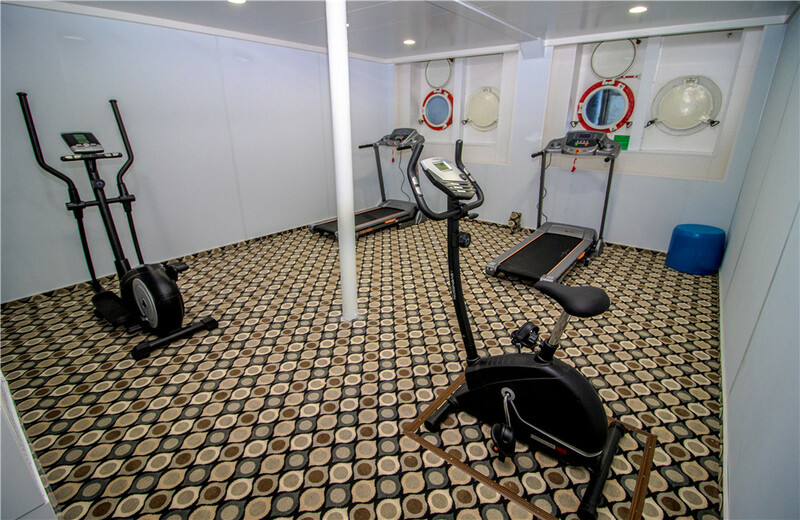 NEWLY REFURBISHED 4 STAR SHIPS! 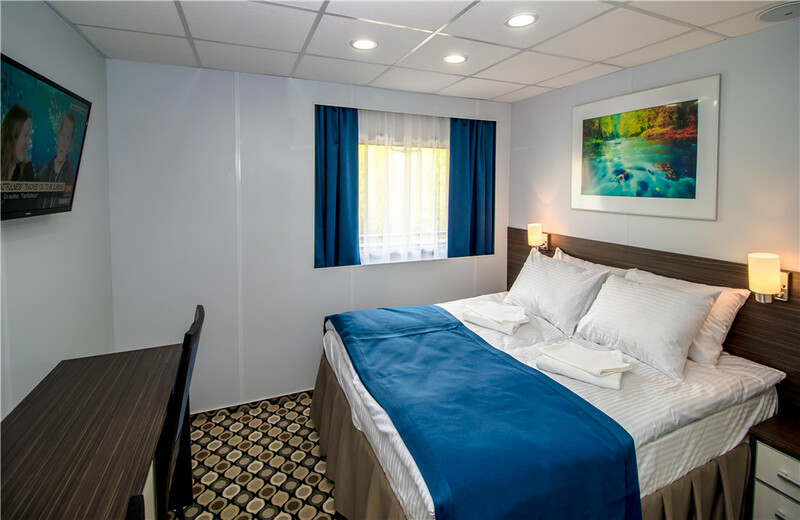 • Airport taxes are all included. • For other departure cities, please call to request. • International airfare From New York in economy class. 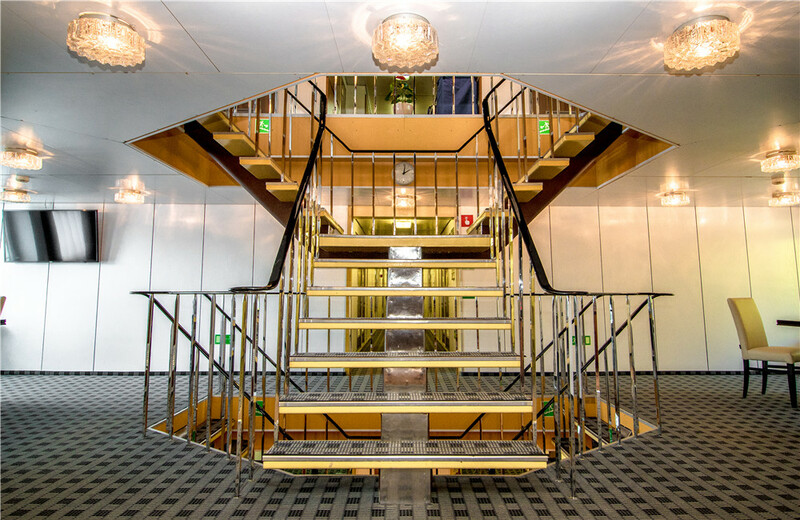 Arrive in Moscow, where you will meet your tour guide(s) and be transferred to your ship for embarkment. 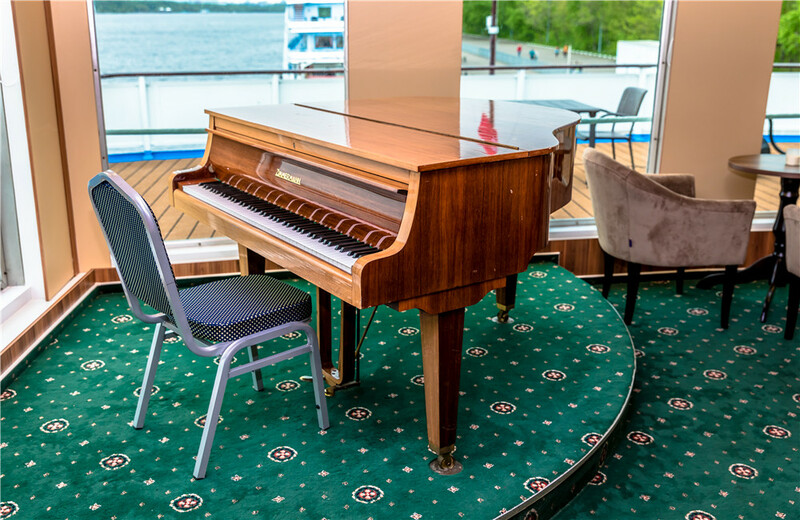 This evening, enjoy dinner on the ship alongside live piano music. Explore Russia’s enigmatic capital on an included city tour this morning, admiring highlights such as the colorful domes of the St. Basil’s Cathedral, legendary Red Square, Tverskaya Street and GUM. This afternoon, marvel at imposing red-brick towers, extravagant palaces, and the historic Cathedral Square on an included trip to the Kremlin, where gleaming gold domes and cupolas sit atop three of the Kremlin’s best-known architectural treasures: the Dormition, Annunciation and Archangel Michael’s Cathedral. You may enjoy optional tours to the Armory museum or attend an exciting circus performance (pre-book only). You may also join an optional Moscow by Night Metro Tour. 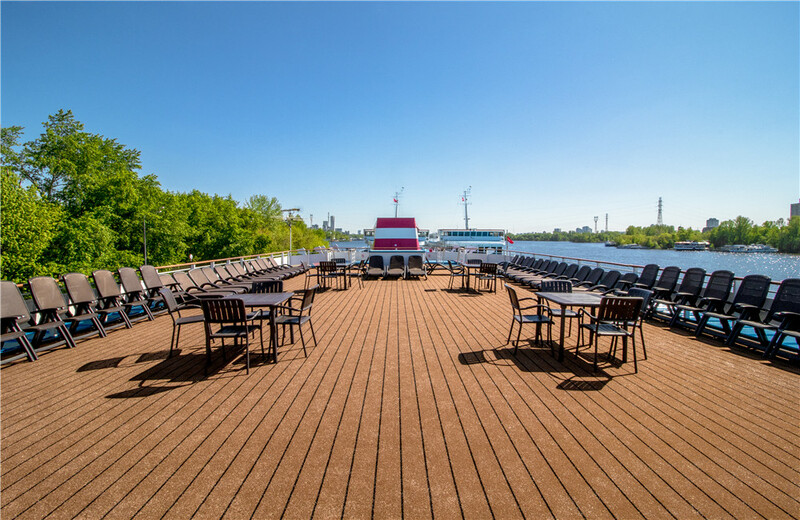 This morning, explore Moscow further or take advantage of one of the optional excursions available, including a trip to Sergiyev Posad, a tour of the New Maiden’s Convent or Tretyakov Gallery. 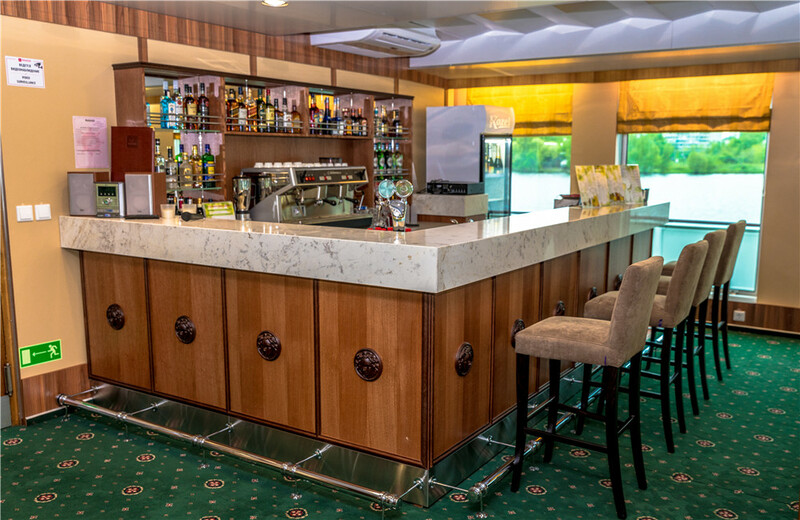 This evening, enjoy a welcome cocktail and dinner aboard the ship and a live concert. 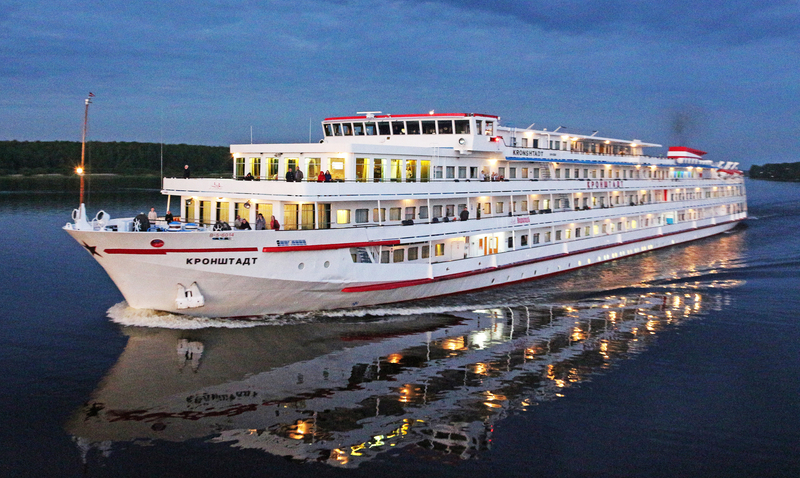 Enjoy a Russian Language Lesson and a traditional Russian Song Class this morning as you cruise to Uglich, one of Russia’s Golden Ring cities. Explore this fascinating 12th-century village on a walking tour that includes the former Kremlin, the haunting Church of St. Dmitry on the Blood, and the Transguration Cathedral before returning to your ship for this evening’s folk concert. Another Golden Ring city, Yaroslavl is one Russia’s best-loved towns. View the city’s highlights on an included bus tour to see the exterior of the Church of Elijah the Prophet before visiting the colorful local market, the Church of St. Nicholas Miracle Worker, and the Governor’s House Art Exhibition. Back on board and experience a Russian Tea Ceremony. Slowly wake up in the morning as you cruise across the White Lake. In the afternoon, reach Goritsy, a quaint village settlement near the famous Kirill-Belosersk (St. Cyril) Monastery and enjoy a visit to the intriguing Museum of Icons. 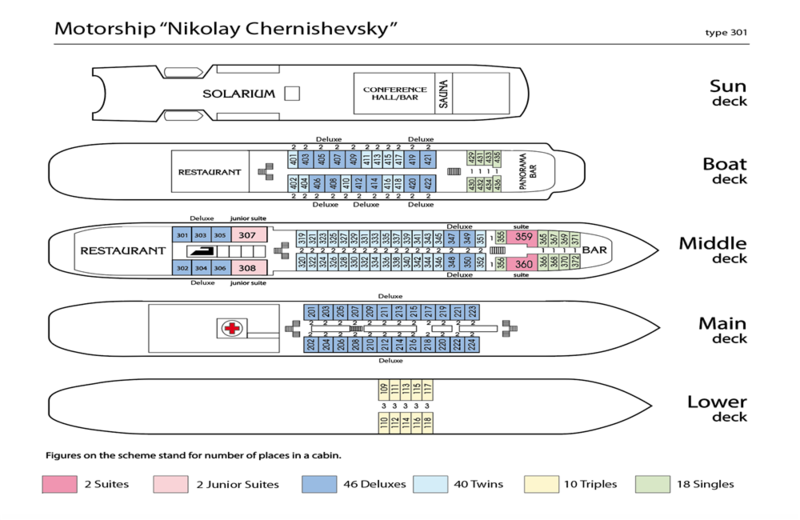 Tonight, feast on a traditional Russian dinner before tonight’s Vodka and Blini Tasting Party (Optional on Ms Nikolay. Chernyshevsky). 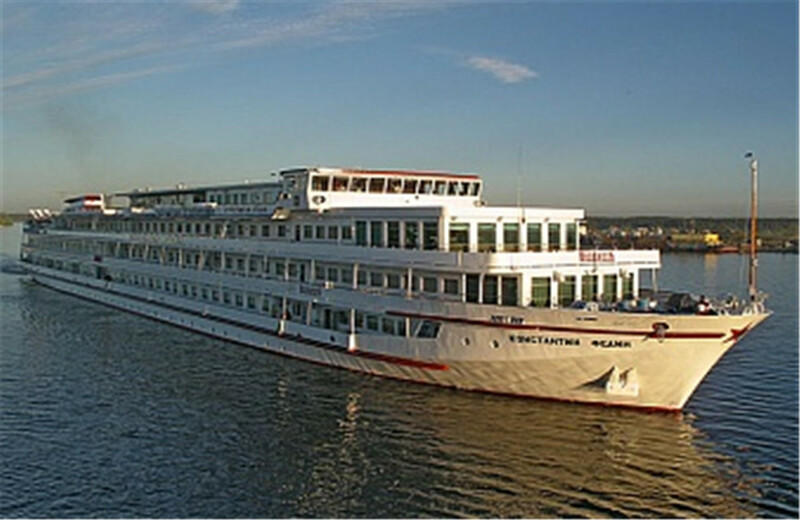 Cruise to Lake Onega’s picture book island Kizhi for a visit to the impressive Museum of Wooden Architecture. Famed its distinctive Transguration Church with 22 cupolas, the UNESCO World Heritage Site is also home to many other ancient wooden buildings, painstakingly relocated from all over Russia. 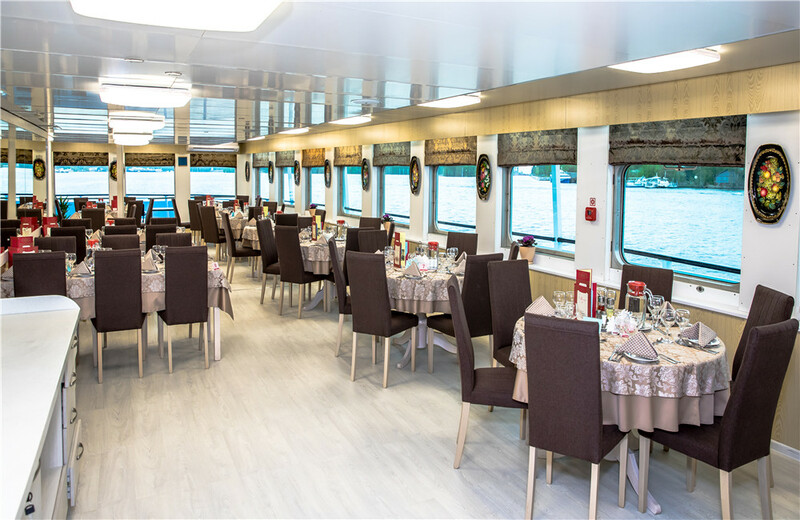 This evening, enjoy a pirate-themed dinner on board. Built to resemble a traditional Russian hamlet, Mandrogui is set amidst pretty parkland on the banks of the Svir River and is peppered with pretty wooden buildings topped with colorful tiles and woodcarvings. Enjoy the shops and artisan workshops before tucking into a tasty Russian treat: a succulent shashlik kebab. 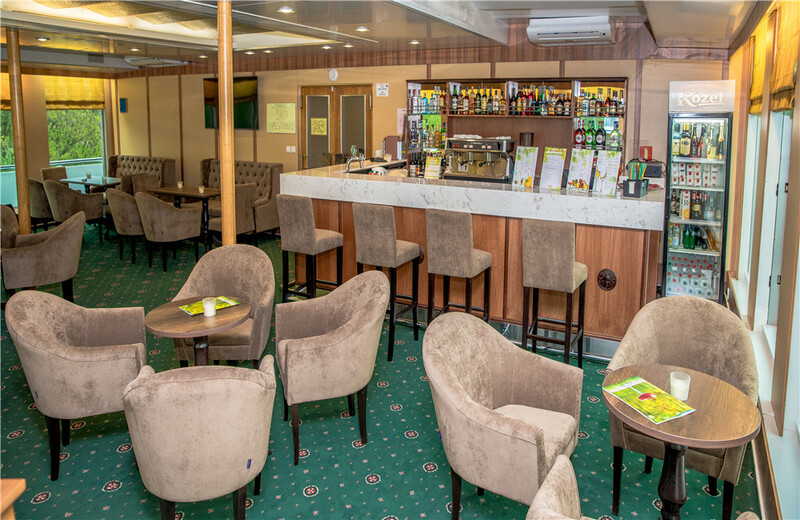 On board this evening, enjoy a Captain’s Dinner before getting a chance to star in tonight’s talent show. 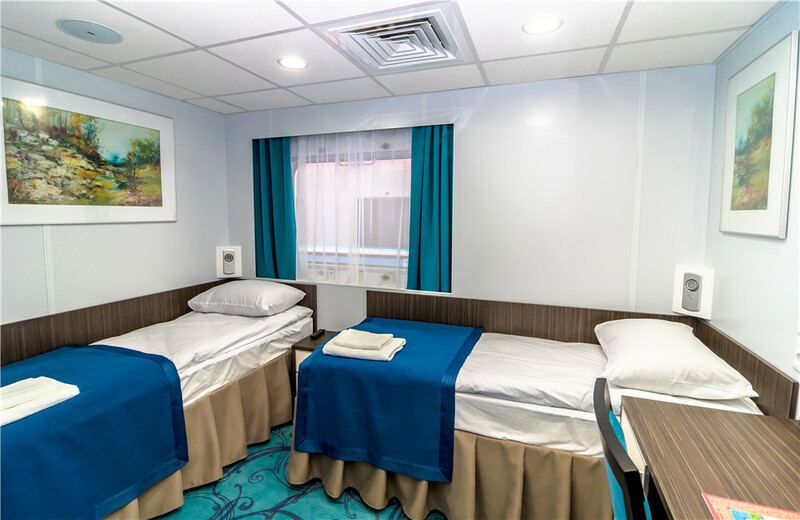 St. Petersburg is Russia’s second largest and second most important city - viewed as the Northern capital of the country, Russia’s cultural center, and considered the world’s “Northern Venice” due to its extensive system of canals and islands. This morning, admire St. Petersburg’s historic center on an included tour and take in highlights such as the Old Stock Exchange and Smolny Convent, the impressive Winter Palace facade, Peter & Paul Fortress, and Nevsky Prospect, with its ornate domed Church of the Resurrection and the beautiful St. Isaac Cathedral. After lunch, visit the world-famous Hermitage Museum on an included excursion. This morning, enjoy an excursion to Peterhof, where you will visit the beautiful lower park and see the exterior of the palace. 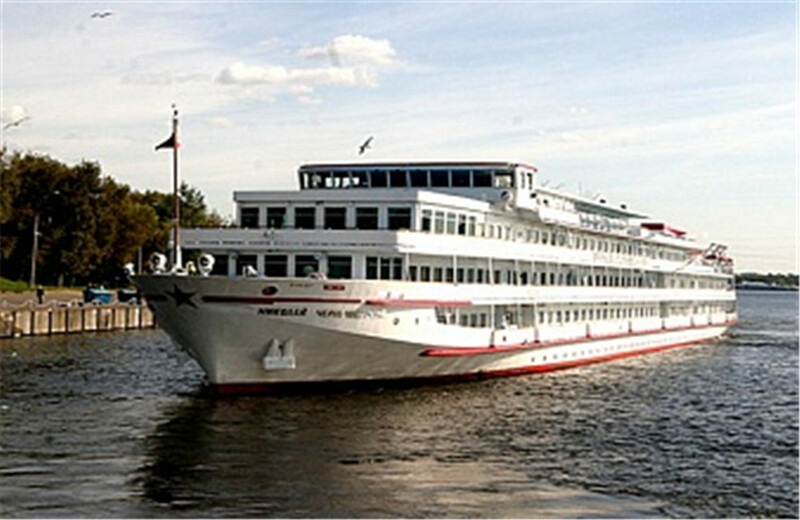 In the afternoon, why not take an optional transfer into St. Petersburg to explore the city at leisure. Today’s optional excursion takes you to Pushkin, home to the luxurious summer palaces of former Russian royalty. You may visit the Catherine Palace to marvel at the many lavish chambers, such as the famed Amber Room. This evening, join the optional excursion to a Russian Ballet performance. Due to heavy traffic, bad weather and unforeseen circumstances, the timing of excursions and on board activities is subject to change. 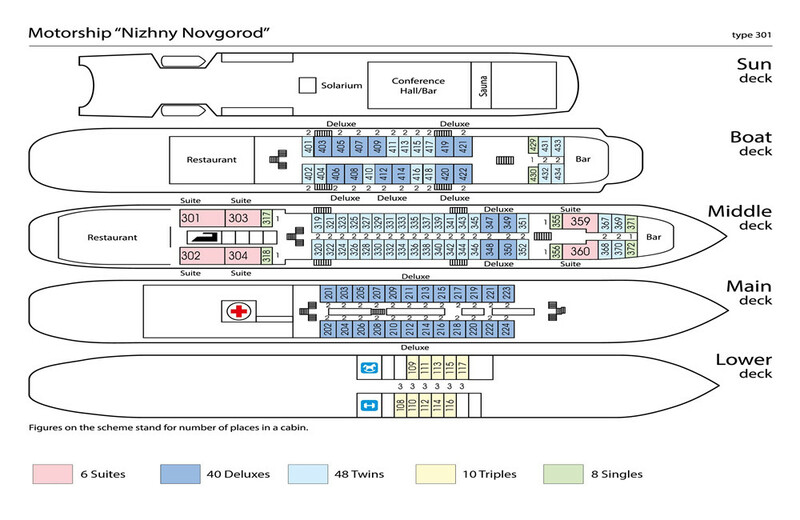 Motorship «Nikolay Chernishevsky» is a comfortable four-deck vessel (type 301). 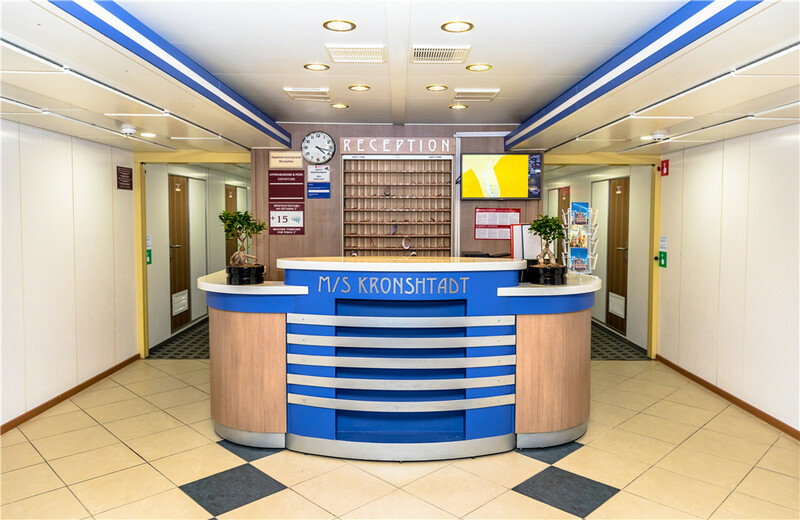 Built in Germany in 1981, refurbished in 2018, the motorship is equipped with modern navigational facilities and exceeds the speed of 26 km per hour (around 17MpH). 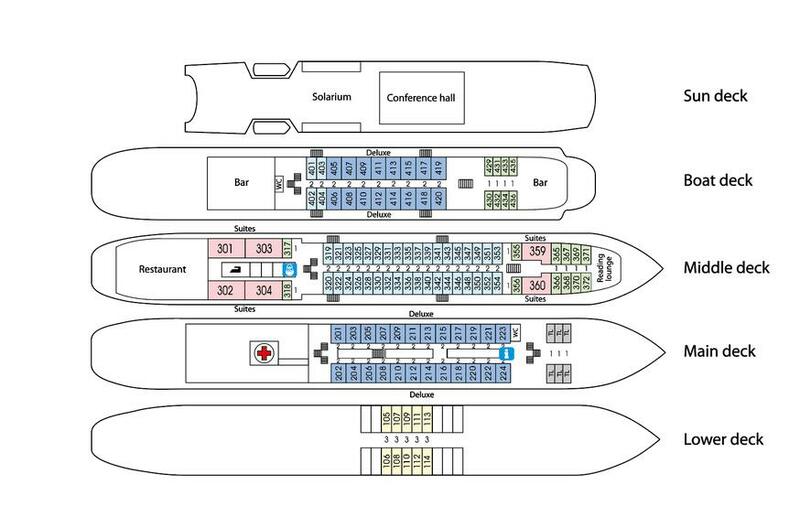 Length – 125 m, Width - 16, 7 m, Immersion - 2, 9 m, Passenger capacity – 218 (triple cabins for double accommodation). Motorship «Konstantin Fedin» is a comfortable four-deck vessel (type 301). 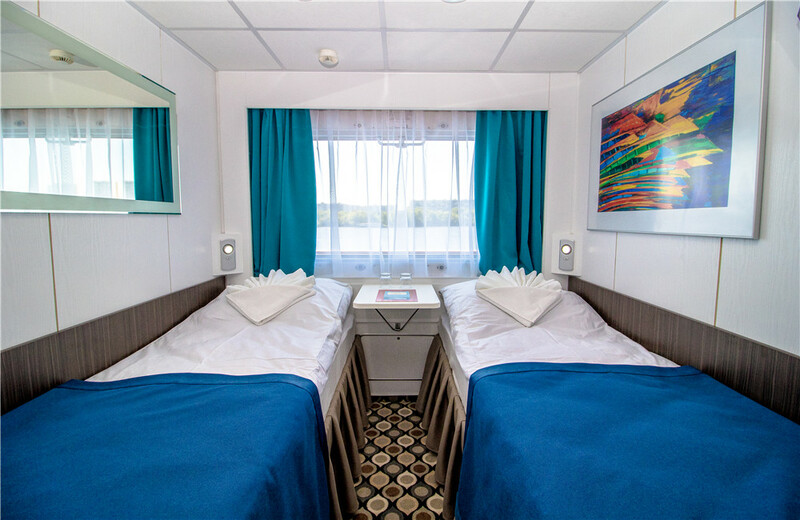 Built in Germany in 1980, refurbished in 2018, the motorship is equipped with modern navigational facilities and exceeds the speed of 26 km per hour (around 17MpH).Length - 125 m, Width - 16,7 m, Immersion - 2,7 m, Passenger capacity – 212 (triple cabins for double accommodation). Passports: Your U.S. passport should be valid at least 6 months or longer beyond the dates of travel. Visas: Russian visa is required and cannot be obtained upon arrival in your destination, you should make arrangements with the appropriate foreign consular representative, allowing enough time for mailing and processing. We normally start applying visa 90 days prior to your departure date. Russian Visa Center will need to hold your passport 6~8 weeks for obtaining a visa. If you need your passport in a rush, 3~4 weeks visa express service is also available with extra cost.